Do you want to be an authority in poker and play poker online successfully? It would help if you first considered learning how to play the Five Card Draw. The Five card draw is one of the oldest and easiest poker games to help you start your journey. By just learning a few basic rules and strategies, you will have the edge over your opponent. So where do you start? Before getting into the ins and outs on how to play the game, it is very crucial that you understand what makes up a good hand for it will help you make better decisions when it is your turn to play. Royal Flush – comprises of a combination of a Jack, a King, a Queen, a Ten and an Ace of the same suit of cards. Four-of-a-kind – made up of four cards all with the same number. Flush – Comprises of any card but the same suit. Straight – comprises of any card however following each other in a sequence. Three-of-a-kind – contains three cards from any set with the same number. Two pair – just like the name, one pair has a similar number while another pair has a different numeral. One Pair – has two cards of any set with the same number. High card – a mixture of cards with no definite combination. So, how do you play this fantastic poker game? The game starts with only the two players to the left of the dealer paying an amount referred to as a blind. The one to the direct left of the dealer gives the small blind that is half the amount of the big blind, and the player to the consequent left offers the big blind. At this instance, the dealer deals five cards to each player all facing down. The player on the left of the big blind starts the first round of betting. Immediately after the first round of betting is complete, the players get into the Draw. Here, the players get an option to change the cards they have. The players discard all their unwanted cards and in turn get new cards from the top of the deck. However, players have the option not to change their cards if they feel satisfied with what they were dealt with before, a scenario referred to as “standing Pat”. Immediately after, a final round of betting begins, after which the players reveal their cards and the player with the best hand wins. The best thing about the five card draw is that the rules of the game are straightforward and basic to follow. 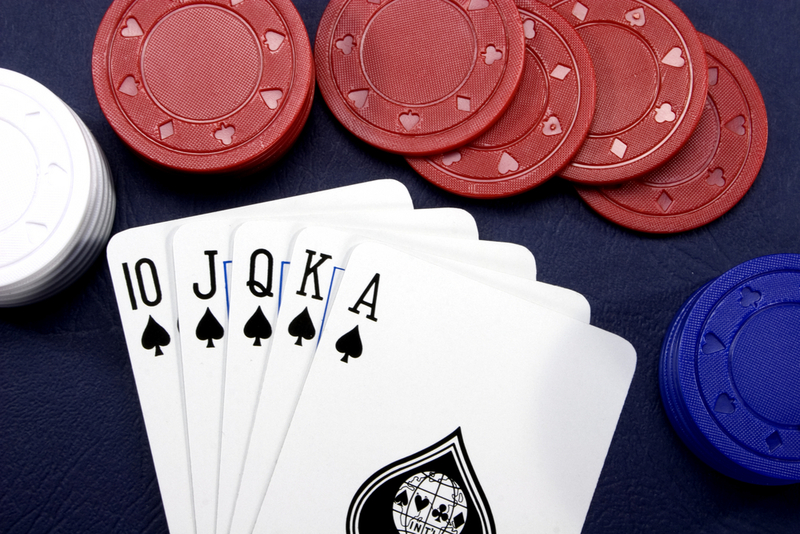 They can easily be transferred to other games such as Texas hold’em. However, if you are looking to pull a seat on a professional table in a casino or by playing the 5 card poker online, here are some tips tricks you may want to put up your sleeves to avoid losing all you have. During your first round of betting, your opponents will most often call you out with hands such as three flushes and Ace highs. If you find that the dealer has issued you with a pair or three of a kind, always put in a raise. Be observant of the cards your opponent draws. Drawing four cards means they are looking to get a pair. Draw three cards means they are looking at getting two pairs or a three hold. If they pick two cards, they have three cards and want to get a full house or quads. Draw only one card if you have trips. Players will think your hand is on straights or flush draw increasing the possibility of them betting with one or two pairs allowing you to win the game confidently.